You had to know this was coming eventually -- Walmart selling legal services. Fortunately for us, the company's first forays into firms in supermarkets is happening north of the border, in Ontario, Canada. (H/T to Solo Practice University.) But expansion into the United States can't be too far behind. Why? Take a legal system that prices services out of the reach of middle and low income individuals, add in favorable rulings for legal services providers (like LegalZoom) that aren't exactly law firms, toss in tens of thousands of unemployed lawyers, and you have an unserved market, a tempting business model, a cheap labor supply, and a distribution network already in place. Meet Axess Law, a firm started by Toronto lawyers Lena Koke and Mark Morris, which has three of it's four current offices (with one more on the way) in Walmarts. According to the Toronto Star, the firm practices on a volume model, which allows them to charge extremely low rates, such as $99 for a will or $25 for a notarized document. The firm is also open during nontraditional hours, until 8:00 p.m. on weekdays, plus Saturday hours. Why is this great for consumers? 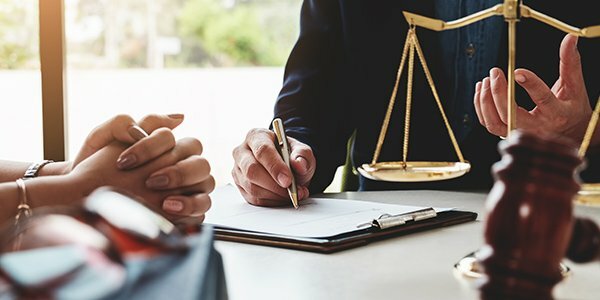 For minor legal issues, like a will, consumers don't want to take time off of work, ask for recommendations or dig through online reviews, and then stop in a stuffy law office with inflated rates. This is exactly why alternative legal services providers, the online DIY shops, have taken off. Will this model jump the border? Maybe. We have strict rules on non-lawyer ownership, but if a firm were to simply lease space in multiple Walmarts, without sharing profits or ownership, it would likely be legal. Or, another possibility is Walmart getting into the DIY game, selling form documents, and possibly scrivener services, in store. The bottom line is, we do have an access to legal services gap that remains to be filled. The trick will be to find a way to deliver services at a cut rate without compromising quality, while also allowing lawyers to make a decent enough living to make these types of practices appealing. If we don't, expect someone else, such as a startup company or a big box chain to do so. What do you think, is Walmart law coming to America? Tweet us @FindLawLP.